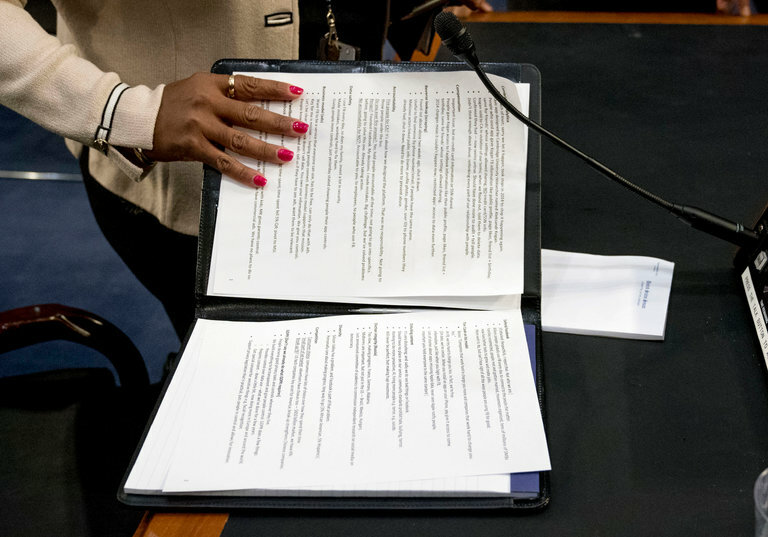 A photographer captured two pages of Mark Zuckerberg’s notes for his appearance at a Senate hearing on Tuesday. Once highlighted on Twitter, the image was retweeted thousands of times. To many commenters, the paradox was clear. 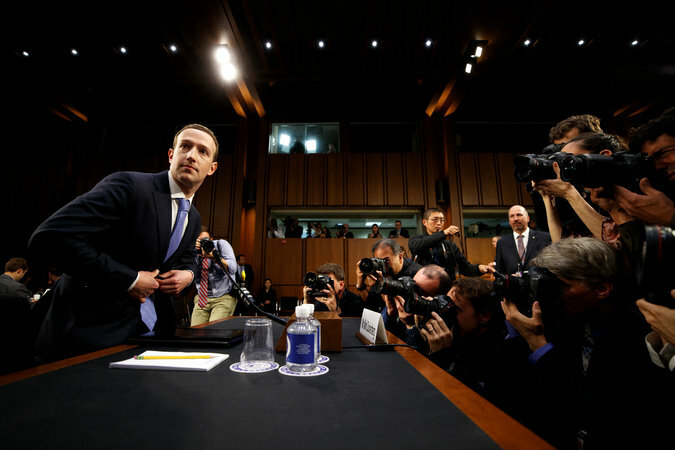 On a day Mr. Zuckerberg, the chief executive of Facebook, faced lawmakers’ questions about whether his company adequately protected users’ data, he experienced a disclosure of his own. The talking points gave a detailed view of Facebook’s extensive preparationsfor the appearance before Congress of its billionaire founder. While some of the notes matched what he said on Tuesday, others reminded him what not to say or anticipated questions that were not raised. Mr. Zuckerberg will appear Wednesday for another day of testimony. One section of the notes suggested responses in case Mr. Zuckerberg was asked if he would step down. He was not asked that question, but the suggested reply indicated he planned to stay. Senator Lindsey Graham, Republican of South Carolina, asked if Facebook was a monopoly. But he did not press Mr. Zuckerberg on whether the company should be divided, and the answer citing Chinese competition was not used. “It certainly doesn’t feel like that to me,” Mr. Zuckerberg replied. Mr. Zuckerberg’s notes also guide a response to recent criticism from Tim Cook, Apple’s chief executive, who has described his own company as a far more robust defender of consumer privacy. “Lots of stories about apps misusing Apple data, never seen Apple notify people,” read the notes. But Mr. Cook’s comments were not raised during the hearing, and the response was not used. Another section warns Mr. Zuckerberg about comments to avoid. In response to any questions about European Union privacy and data protections, the notes instructed that he should not say Facebook already complies with a data privacy law that goes into effect in May. The image was photographed by Andrew Harnik of The Associated Press and was included in a tweet from Stefan Becket, a senior news editor at CBSNews.com, that was shared widely. Mr. Harnik said he didn’t think the photo constituted the sharing of private information. Photos of notes during official events have a long history of revealing more information than those who held them intended. The document, which discussed diplomatic relations between France and North Vietnam based on a C.I.A. source with access to the French Foreign Ministry, undermined ties between Washington and Paris, Lawrence Martin-Bittman, a Boston University scholar, wrote in 1981. More recently, President Trump was photographed during a meeting with parents, students and teachers who lost loved ones in the Parkland, Fla., school shooting holding notes that included the line, “I hear you.” The image raised questions about his ability to empathize with people who were grieving.